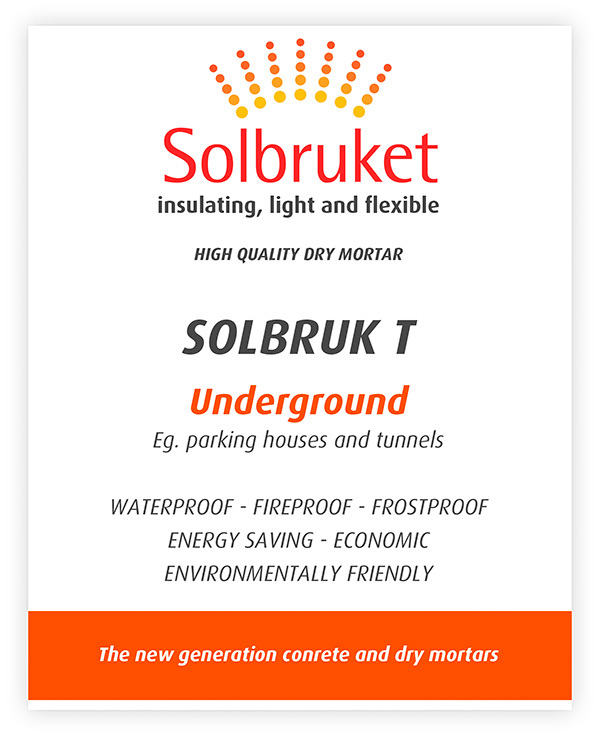 Solbruk T – ready mixed insulating mortar. Solbruk T is a special shotcrete developed as a part of the RockDrain drain and waterproofing concept for use in tunnels and underground facilities. Can also be used to obtain the mentioned advantages in other constructions. Can be sprayed readymixed wet, or with dry metode. The RockDrain System – Full scale tested in the last 8 years.